The European Union should halt arms sales to Saudi Arabia following the killing of journalist Jamal Khashoggi, Austrian Foreign Minister Karin Kneissl told a German newspaper, saying such action could also help end “the terrible war in Yemen”. The comments from Austria, current president of the EU, came after Germany said it would stop approving weapons exports to Saudi Arabia until Khashoggi’s death at the Saudi consulate in Istanbul is cleared up. Chancellor Angela Merkel’s government is also discussing how to deal with sales that have already been approved. 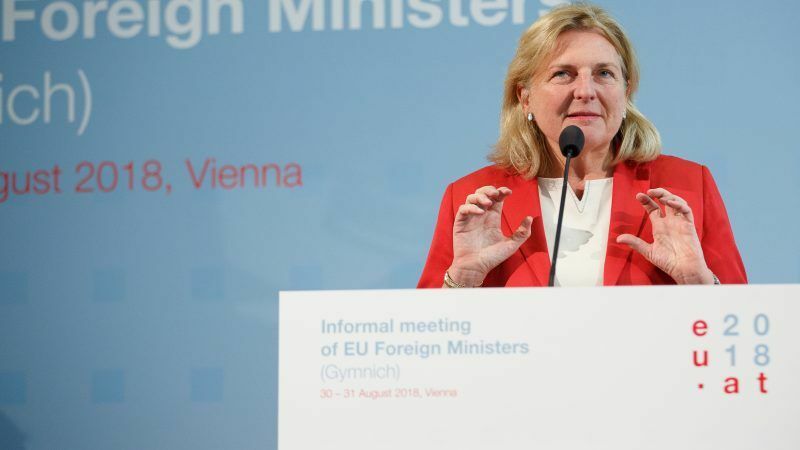 Referring to the wider EU, Kneissl told Die Welt newspaper: “The halt in arms deliveries proposed by Chancellor Merkel would be a correct signal.” Austria had already stopped sending military equipment to Saudi Arabia in March 2015, she added. 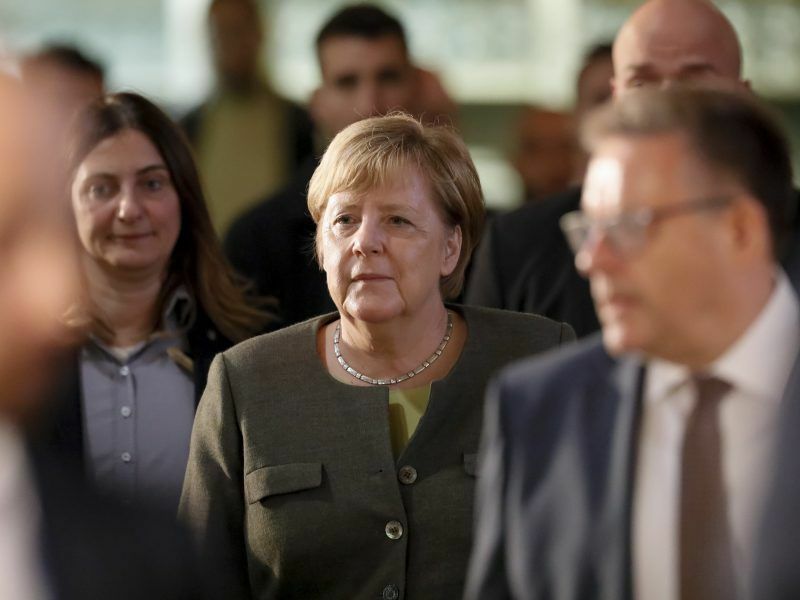 German Chancellor Angela Merkel on Monday (22 October) called the killing of journalist Jamal Khashoggi in the Saudi consulate in Istanbul a “monstrosity” and vowed to halt all German arms exports to Saudi Arabia until the case is cleared up. France and Britain – which will leave the EU in March – are major arms suppliers to Riyadh. President Emmanuel Macron told King Salman on Wednesday (24 October) that France, in coordination with partners, could take action against those held responsible for the murder. However, since coming to power last year Macron has largely ignored protests over arms sales he deems vital to jobs and France’s strategic relationships in the region. 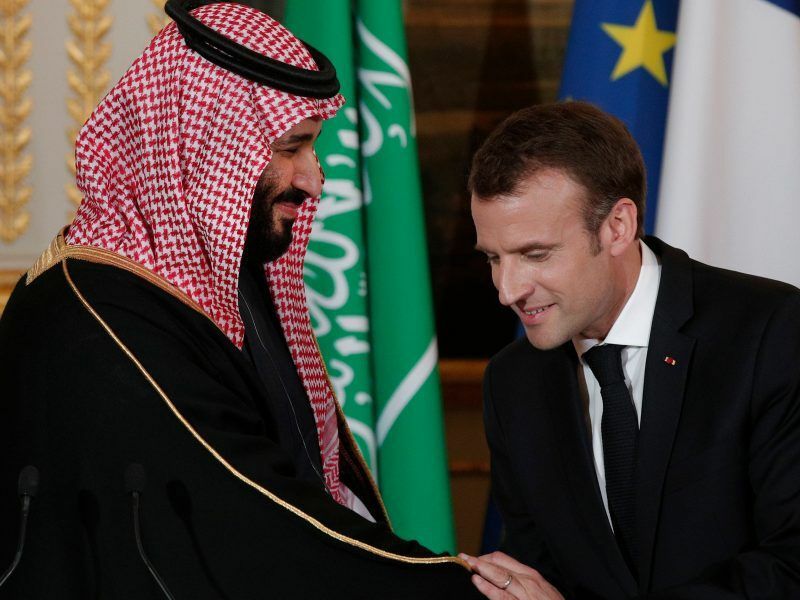 French arms deals with Riyadh totalled €1.5 billion last year. France said on Wednesday (24 October) it could impose sanctions on Saudi Arabia if its intelligence services find the kingdom was behind the murder of Jamal Khashoggi, even as Paris worked to maintain important business and strategic ties with Riyadh. The European Parliament adopted a resolution on Thursday calling on member states to impose an EU-wide arms embargo on Saudi Arabia. Merkel spoke to the king on Thursday, condemning the killing and saying Germany was ready to take “appropriate measures” along with international partners, her chancellery said. Kneissl said the war in Yemen and a crisis in relations between Qatar and Saudi Arabia and its Arab allies should prompt joint EU action. “If we as the entire EU stop weapons deliveries to Saudi Arabia, that could help end these conflicts,” she told the newspaper. A Saudi-led coalition that intervened in Yemen’s war in 2015 has conducted frequent air strikes targeting the Iran-aligned Houthi group and has often hit civilians, although it denies doing so intentionally. 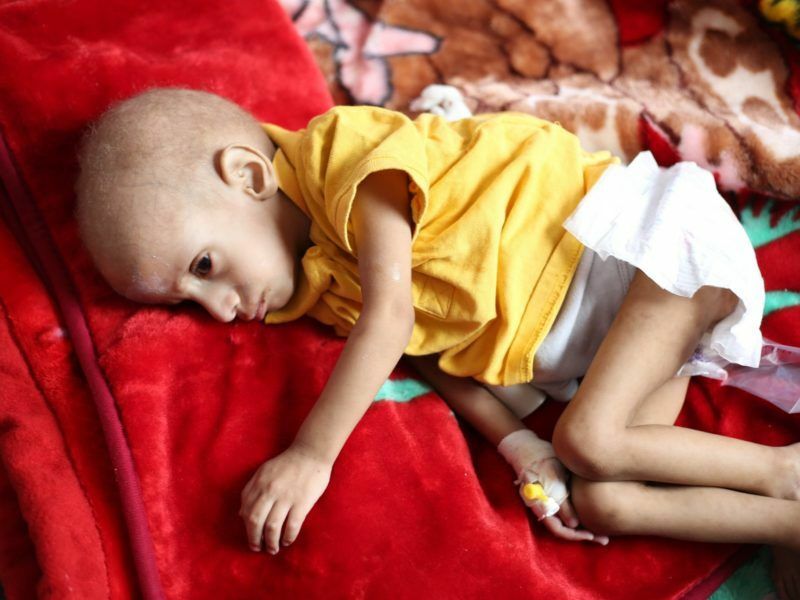 Severe food and medical shortages caused by two years of devastating war are having a major impact on everyday life in Yemen, where thousands of children starve to death, researchers have warned, pointing out the responsibility of Saudi Arabia. The war has killed more than 10,000 people, displaced more than 2 million and driven Yemen to the verge of widespread famine. Saudi Arabia’s public prosecutor said on Thursday that Khashoggi’s murder earlier this month was premeditated, reversing previous official statements that the killing was unintended. Kneissl described the case as “profoundly shocking” and an unprecedented violation of law, but said it marked the culmination of two years of “massive deterioration in the human rights situation in Saudi Arabia”. The Austrian foreign ministry confirmed the remarks were accurate, but had no further comment. 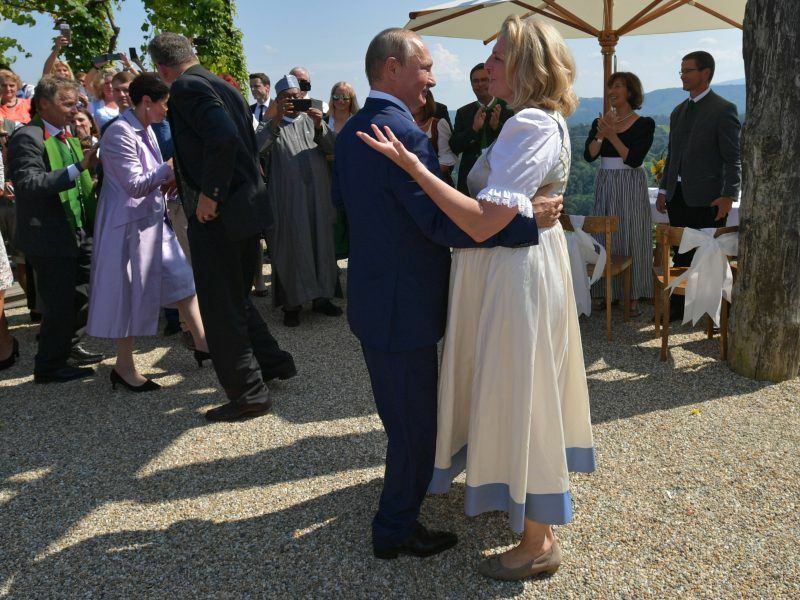 Kneissl, from the far-right Freedom Party (FPÖ), gained international notoriety when Russian President Vladimir Putin came last August in Austria to attend her wedding. “Germany said it would stop approving weapons exports to Saudi Arabia until Khashoggi’s death at the Saudi consulate in Istanbul is cleared up”……”and then would re-start”. I think you missed a bit out – perhaps the sentence needs to read as above? Saudi-Arabia – mad country run by a nutter.